You’re in an eerie city. It’s as if the city has been abandoned. Although everything is clean, and there are plenty of people walking around, the doors on the buildings are all locked. There are no cars, buses, trucks, or taxis. What kind of city is this? 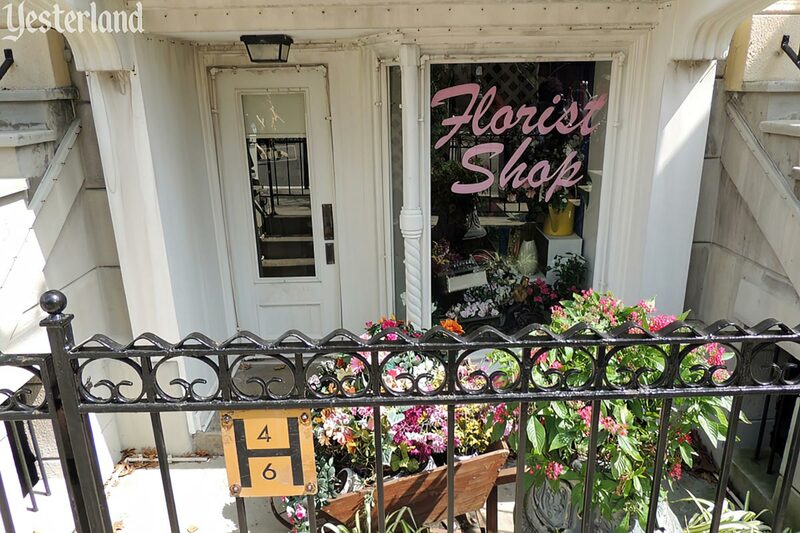 There’s a pizza parlor that doesn’t serve pizza, a drug store that dispenses neither prescriptions nor sodas, a diamond store whose only jewel is on its sign, a public library without books, a tea room with its teacups forever dry, a florist whose only blooms are a few plants outside, a subway station with a permanently blocked stairway, and newsracks with news that never changes. 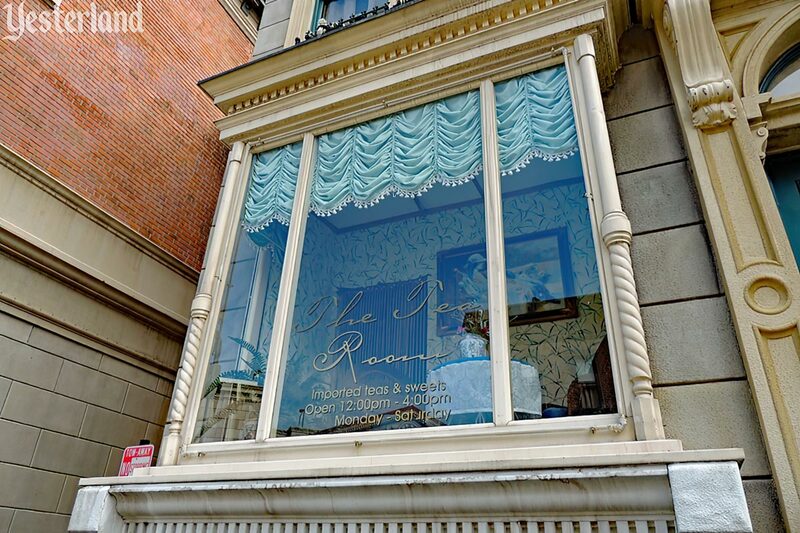 You’ll also see a grand hotel with zero percent occupancy, a more modest hotel with the same guest level, a funeral parlor that has never seen a corpse, and other businesses that do no business. The buildings look solid and are highly detailed—until you look more closely. 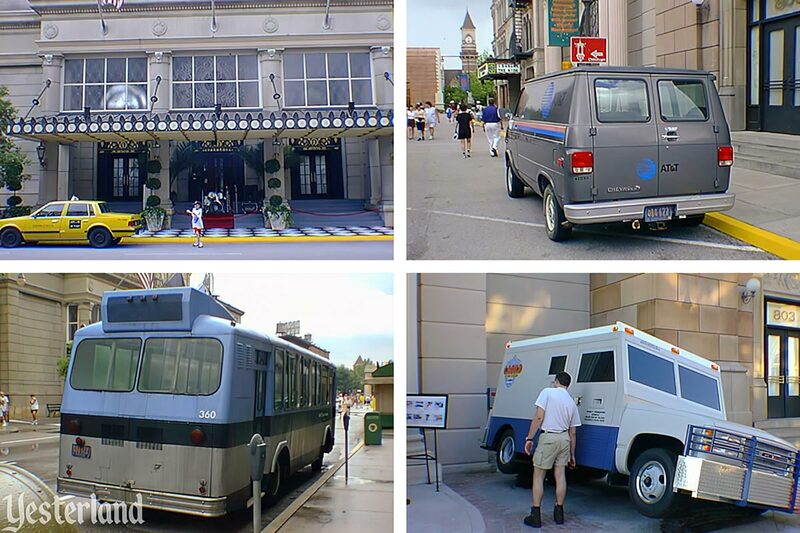 It’s not a real city… or even a conventional theme park land. 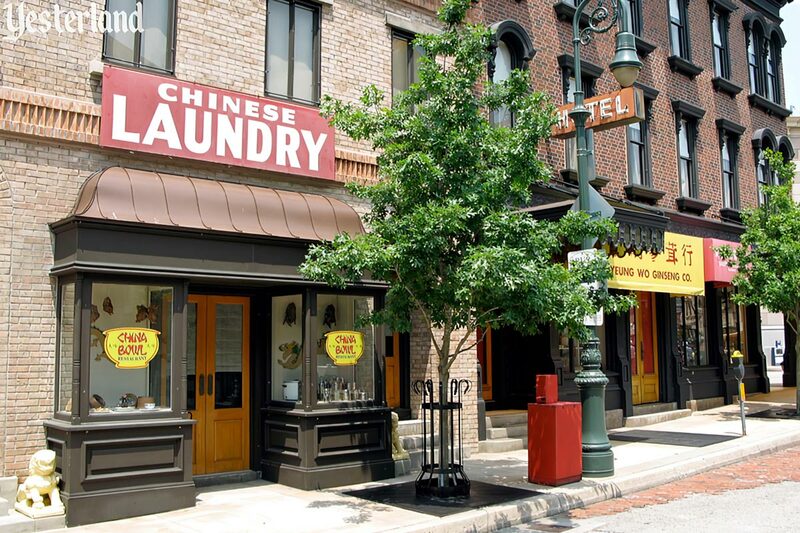 It’s a movie backlot that can be dressed as various cities of today and yesterday for movie production. 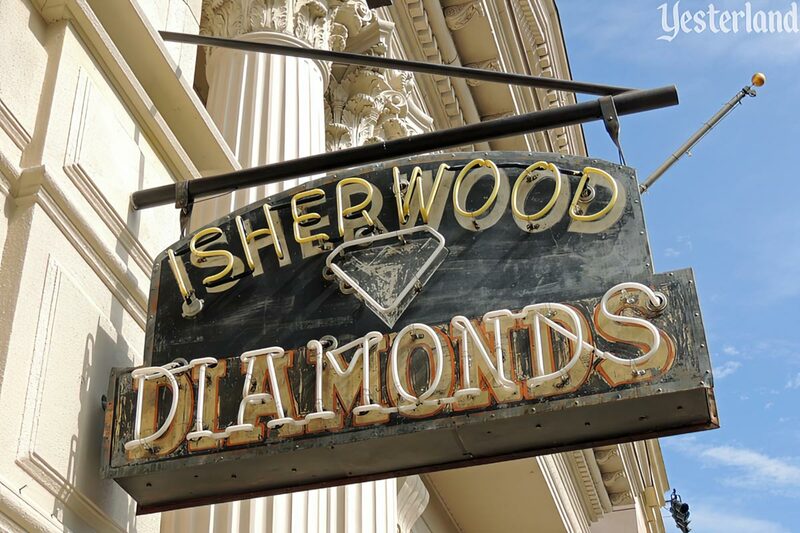 It was featured prominently in the 1989 short subject, The Lottery, starring Bette Midler. The film was shown as part of the park’s Backstage Studio Tour. 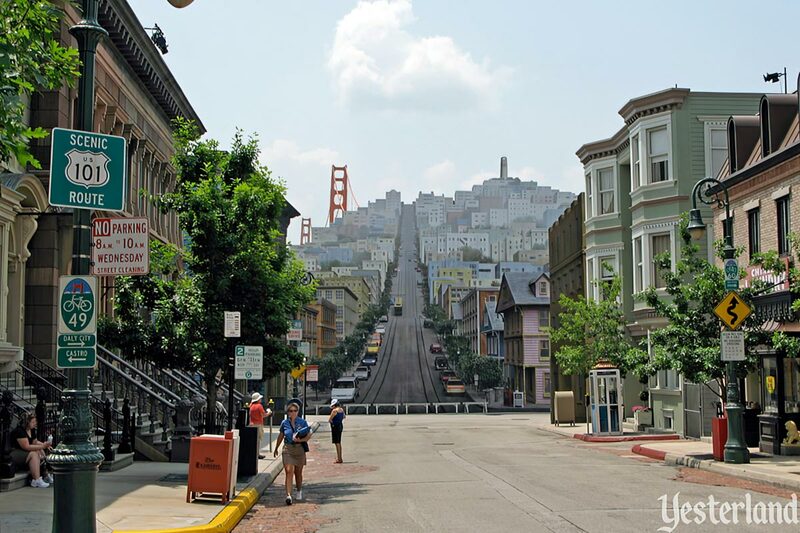 Although the primary street represents New York City, the street that crosses it represents San Francisco. 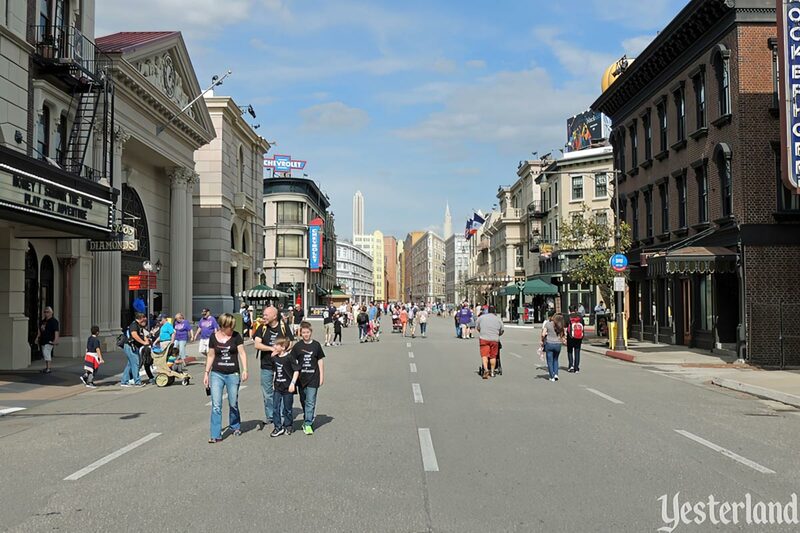 The Streets of America look different during the final quarter of each year. The buildings are covered with strings of lights. Elaborate light structures abound. By day, it looks pretty bad. But at night, the light-and-music show—The Osborne Family Spectacle of Dancing Lights—is spectacular! 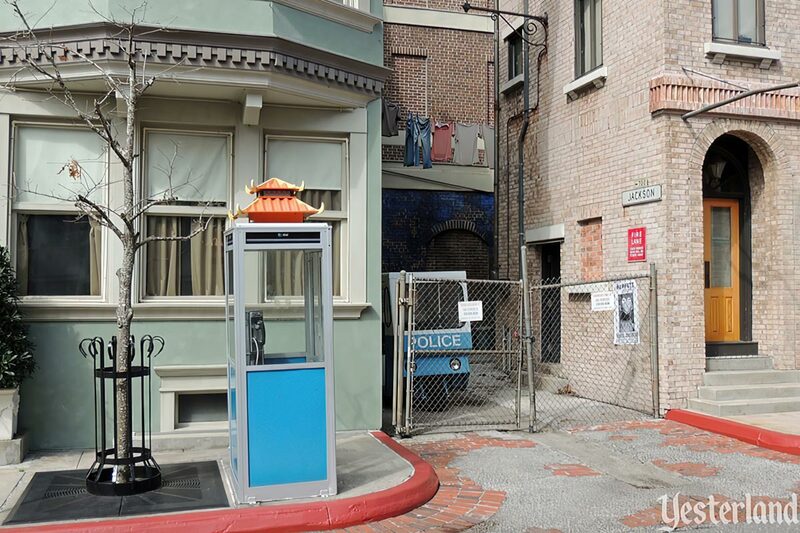 Well, the Streets of America movie set isn’t entirely without business activity. 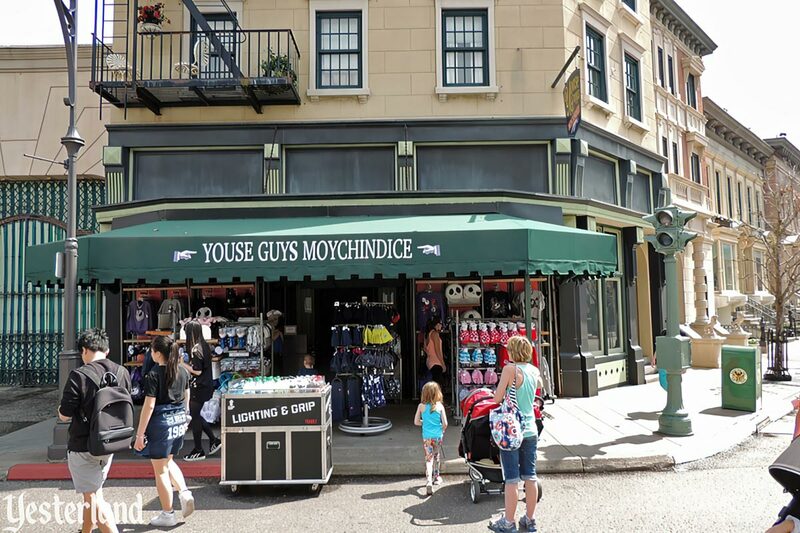 Youse Guys Moychindice, essentially a tent of the sidewalk, sells souvenirs, including hats, plush, t-shirts, and personal electric fans. 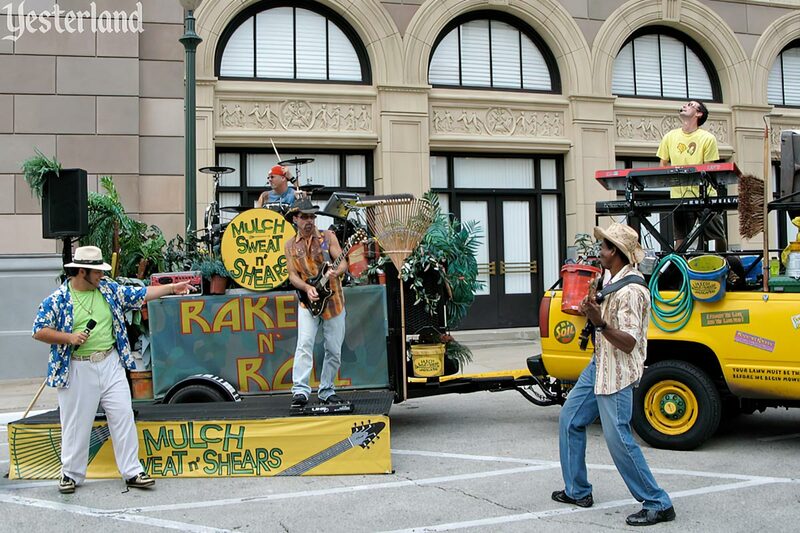 You can also buy music CDs featuring Los Lawn Boys, another name for Mulch, Sweat n’ Shears. 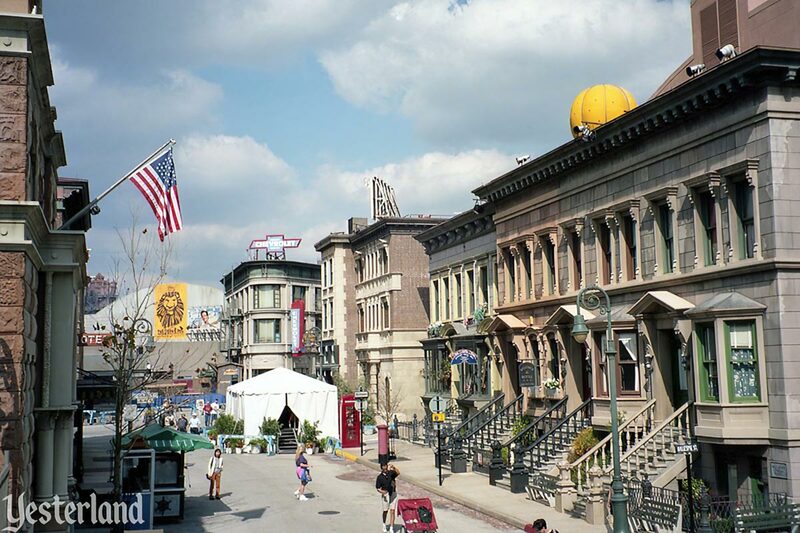 Disney-MGM Studios opened May 1, 1989. 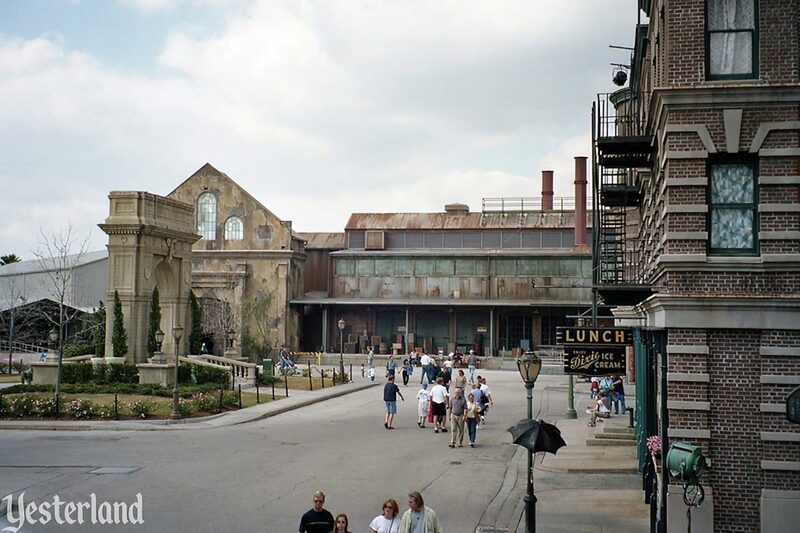 Its biggest attraction was the two-hour Backstage Studio Tour, which included a tram tour modeled on the one at Universal’s film and television production facility in California. 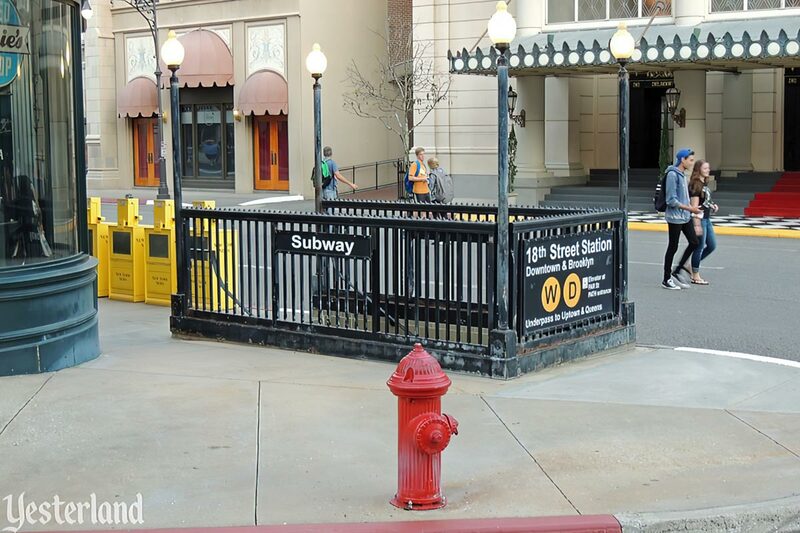 Just as at Universal, Disney’s tram tour featured several blocks of a big city, dubbed New York Street at Disney-MGM Studios. It was a huge set, with a dramatic view from New York’s Washington Square Arch to a “distant” skyline featuring the Empire State Building, Chrysler Building, and other New York landmarks—seemingly miles away due to forced perspective. 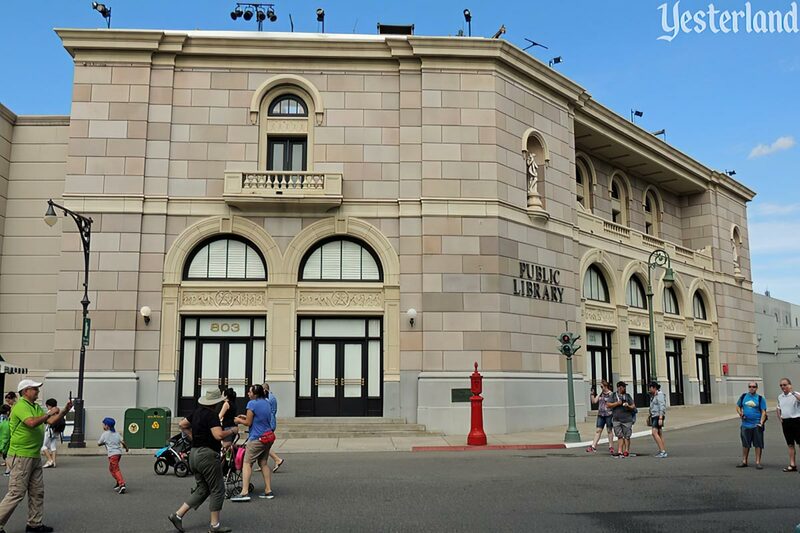 It quickly became apparent that the tour was too long and there were too few places for guests to walk around at the new park. 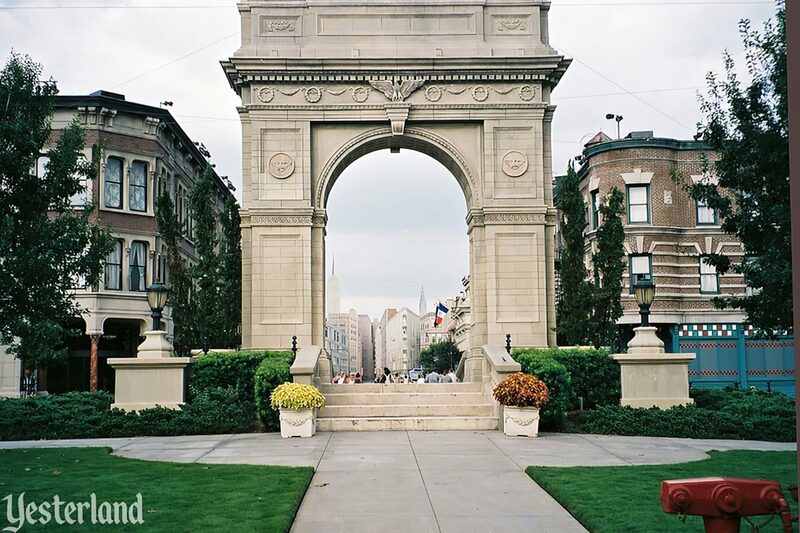 Before the end of 1989, Washington Square became the only part of New York Street still included in the tram route. 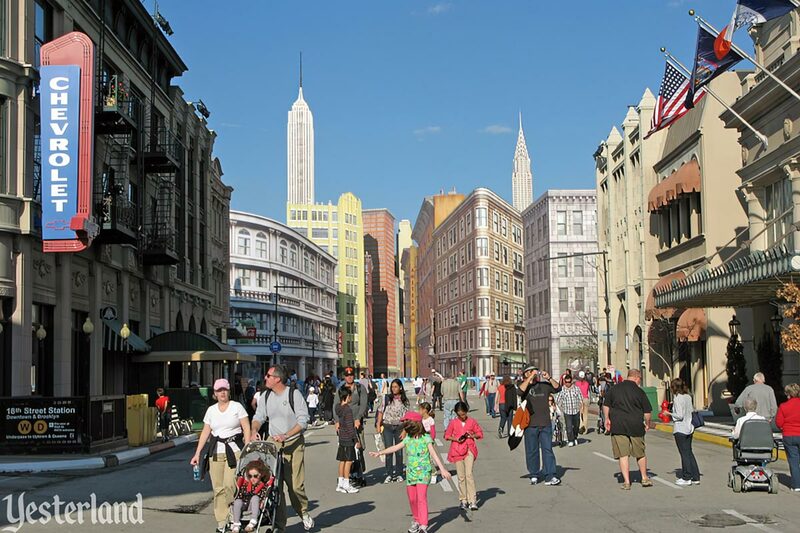 The rest of New York Street became part of the park’s guest area. There wasn’t much for guests to do on New York Street, but it was good for family photos. Studio Catering Company served lunch, just off New York Street. Nearby, “Honey, I Shrunk the Kids” Movie Set Adventure opened December 17, 1990. 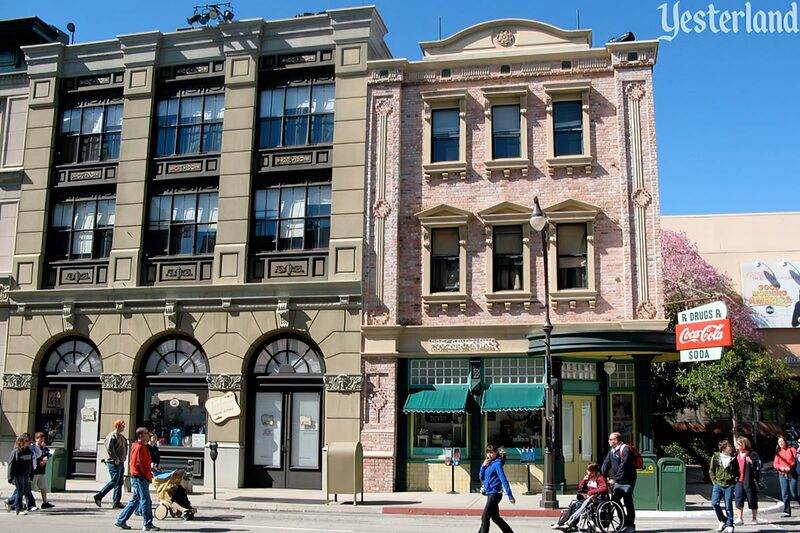 Disney-MGM Studios is updating its back lot of urban building facades. New York Street will be joined by “streets” representing Chicago and San Francisco. New York Street will lead to the Stunt Show Spectacular, a car-stunt show performed in a 5,000-seat stadium under construction on the former site of the park’s Residential Street. 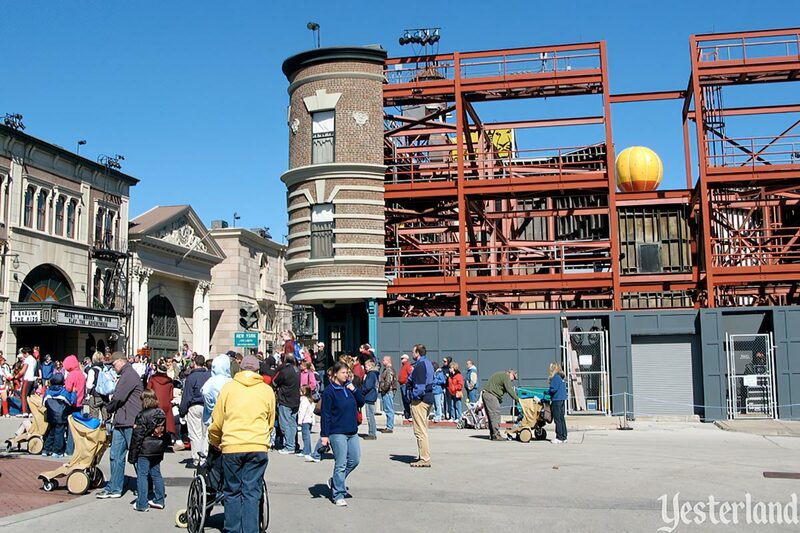 The stunt show is scheduled to open in 2005. 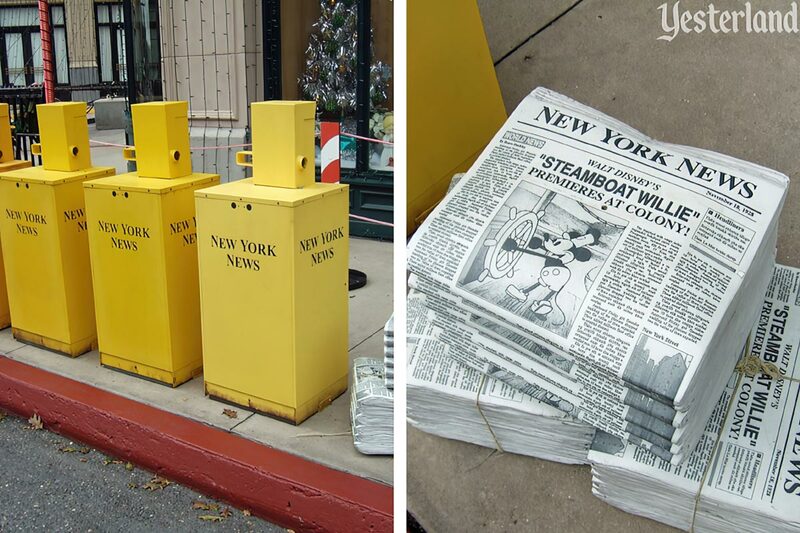 In 2004, New York Street became Streets of America. 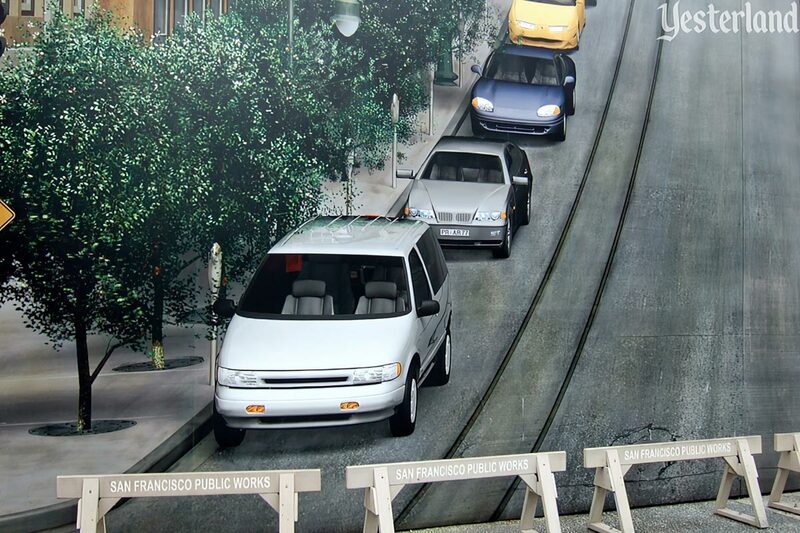 The San Francisco mural added a forced perspective termination to the street that crossed New York Street. Otherwise, that street kept the same façades, with only the pale green façade with bay windows looking San Francisco-ish. Lights, Motors, Action! Extreme Stunt Show opened May 5, 2005. 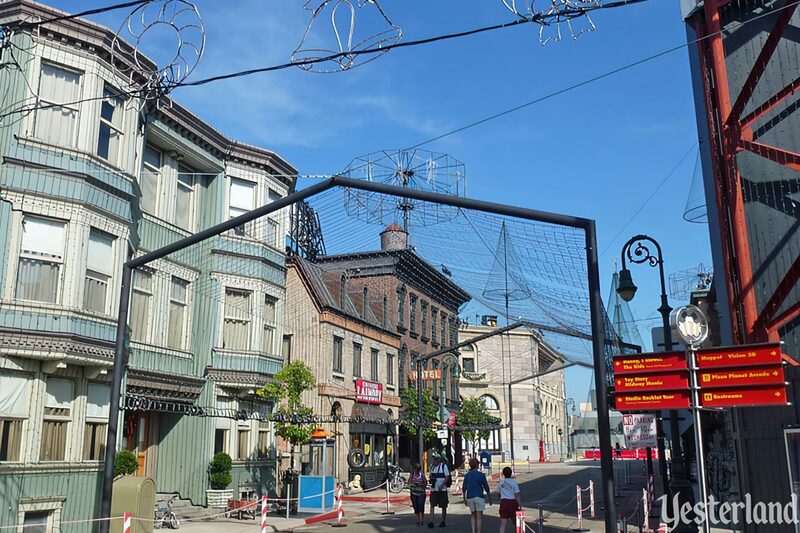 Streets of America (including Lights, Motors, Action! Extreme Stunt Show) closed permanently on April 2, 2016, to make room for Star Wars: Galaxy’s Edge. This also meant the end for Studio Catering Co. and High Octane Refreshments and “Honey I Shrunk the Kids” Movie Set Adventure. 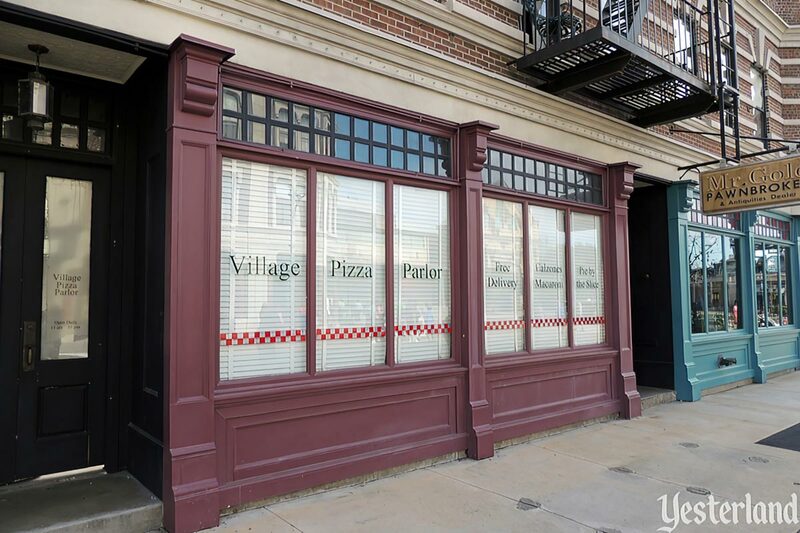 On maps of Disney’s Hollywood Studios, Streets of America included the Muppets Courtyard—with Muppet*Vision 3D, Toy Story Pizza Planet, Mama Melrose’s Ristorante Italiano, and Stage 1 Company Store. 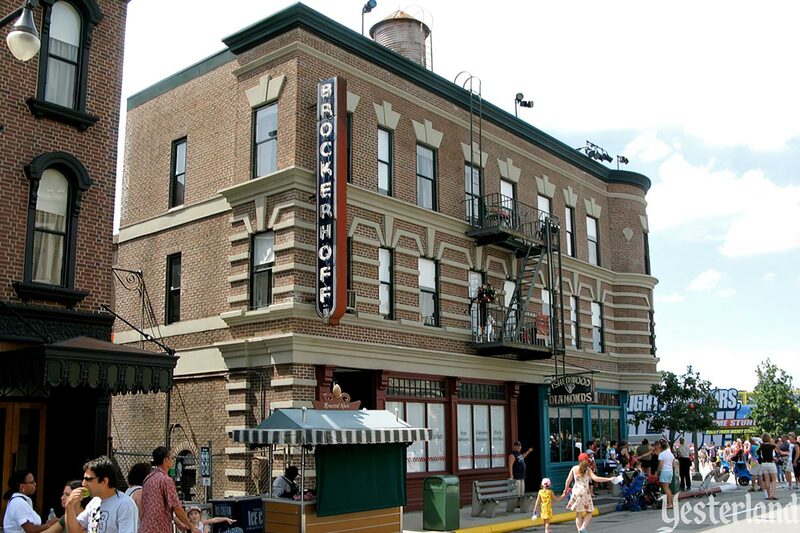 That part of Streets of America remains, with a new name, Grand Avenue. Pizza Planet Arcade became PizzeRizzo in 2016. One side of one block of New York Street (where the drug store façade was) is also part of Grand Avenue. 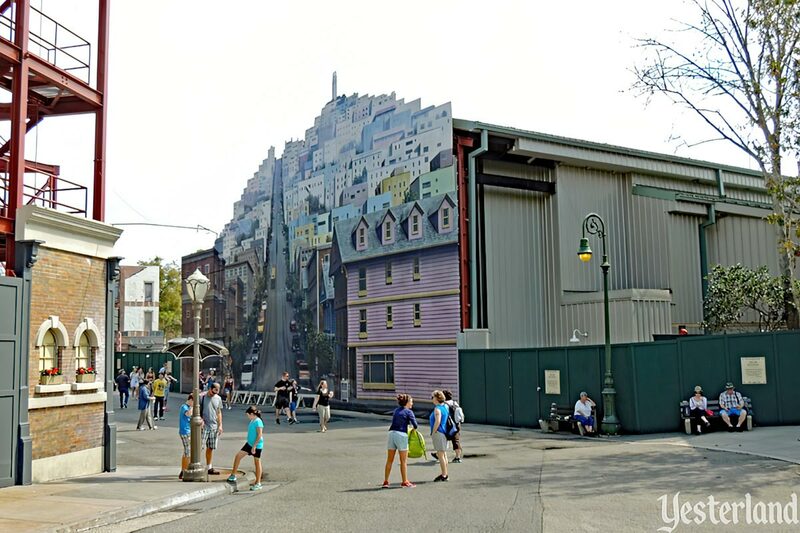 Streets of America no longer exists, but, but what’s left of it now represents a third major American city—Los Angeles. We never got Chicago, but now we have Los Angeles.